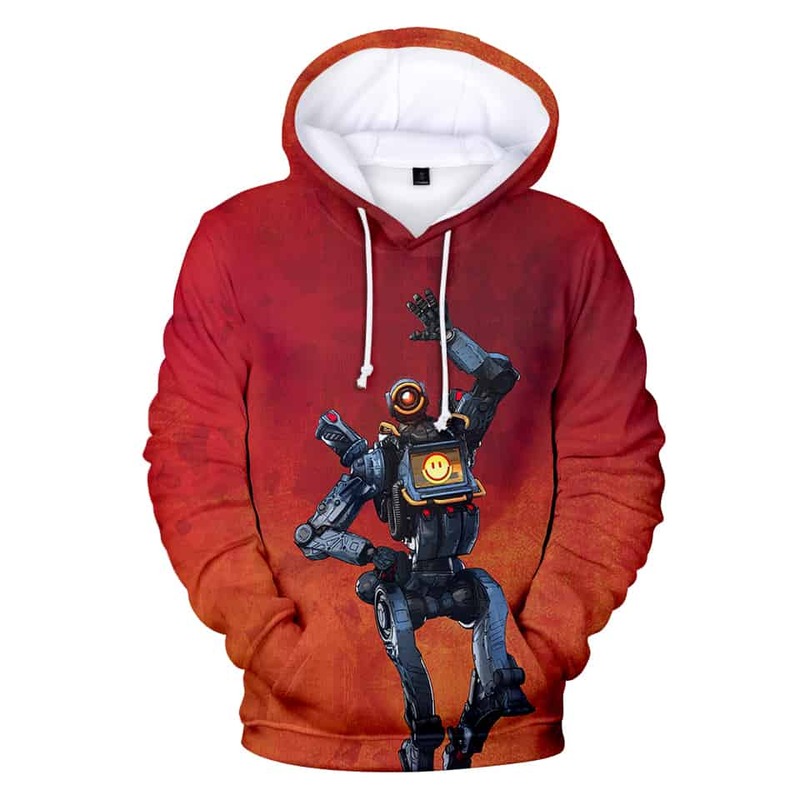 Pathfinder Apex Legends Hoodie features Pathfinder on a red background. Pathfinder does not know his creator and joined the Apex games to draw attention to his creator. This hoodie features a graphic of Pathfinder making a friendly gesture. A true favourite of Apex Legend players.